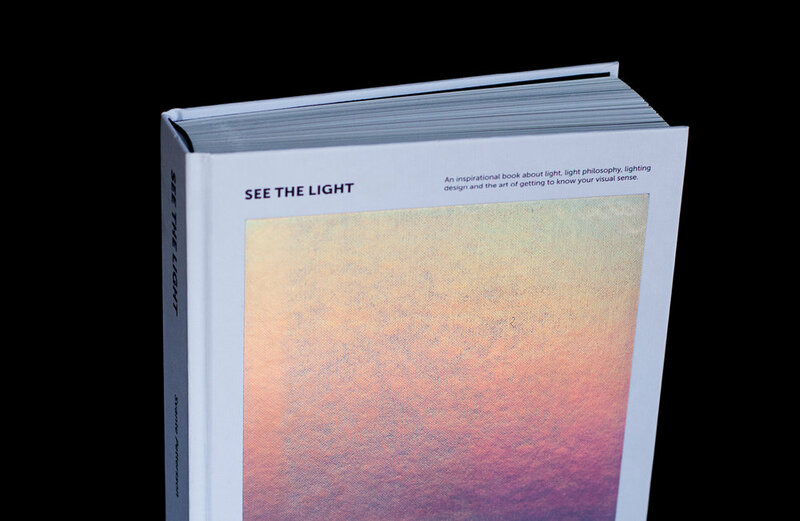 A book that showcases a selection of experiments and illustrations of how light work. 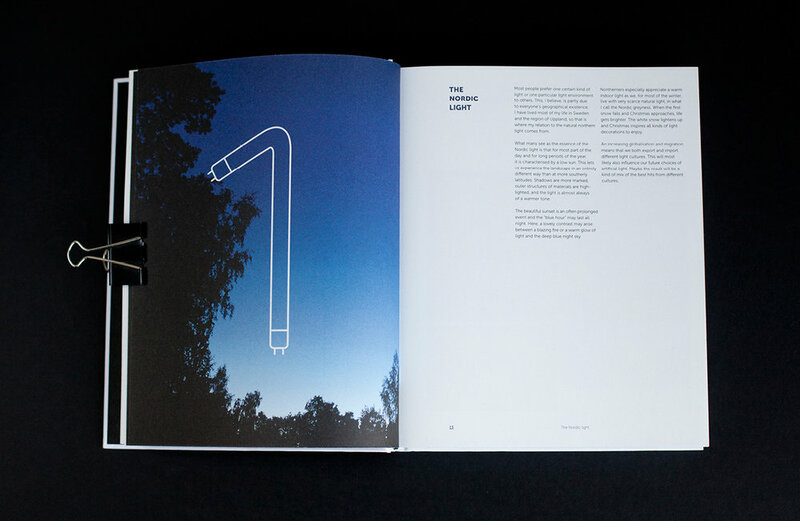 From a design perspective we wanted to incorporate light aspects through out the entire book. The cover is designed with a holographic foil, we built a typeface out of neon lights and each chapter has a colour to create a light spectrum. Hardcover | Size: 198x244mm | Pages: 310 | Paper inside: Munken print white 150g | Cover: Geltex white with embossing and black print with holographic foil.